The first European Conference dedicated to the future of Development on all technologies. ASP.NET vNext, node.js, ruby, angular.js and much more. Modern web development is moving away from all the enterprisey features that used to rule the world of development in the past years, and is going to a more light-weight and simple approach. This is exactly what our conference is about. Developers are taking back the control over the code they write, how they write it and which tools make them productive. Gone are the huge monolithic frameworks from one vendor: Modern Web Apps are a mix and match of different frameworks, technologies and languages. Bring Your Own Tool: Modern Web Development is about productivity the way you want it, not the way the vendor wants it to be. Web sites are now mostly viewed on mobile devices: web sites and apps must be built with that in mind. Gone are the days of the big-bang in production: now webapps are deployed automatically, many times a day. After a plenary session held by a prominent speaker, there will be some parallel tracks split in different rooms so that everyone will be able to attend the sessions that most suit them. The Web European Conference is at its second edition, after a successful first edition in 2012 under the name of Web.NET European Conference . This year, with help of the university, we decided to do it bigger while keeping it free, so that more people can participate and be part of discussions about the latest trends in web development. The conference is the brainchild of Simone Chiaretta, Ugo Lattanzi and Gianluca Centulani, web developer with a passion for experimenting with the latest technologies, adopting the best practices and sharing them with others. Get ready to experience an intense day packed with lots of hours of good content, knowledge exchange and fun. We are expecting international speakers: the CFP is open now, expect to know more soon. To provide the best experience, we'll have a big plenary hall and other rooms for the sessions through the day. During the last 3 years, Mobile Services have represented the best practice to implement backend solutions for mobile apps in Microsoft Azure. Mobile Apps, on the other side, are better integrated in the App Services architecture and will be the no-brainer choice for the future. What’s the difference between the two platforms? How can we convert existing software to Mobile Apps? Is it now the right moment to do it? During this session we’ll answer all these questions and much more! The arena of proper authentication and data security standards is often some of the most misunderstood, confusing, and tricky aspects of building any Node site, app, or service, and the fear of data breaches with unencrypted or poorly encrypted data doesn’t make it any better. We’re going to tackle this field, exploring the proper methodologies for building secure authentication and data security standards. We’ll run through: * Building on top of OAuth 2 and OpenID Connect * Node middleware services for authentication * Working with proper hashing and salting algorithms, and avoiding others, for private user data * Common auth and security pitfalls and solutions In the end, we’re going to see that by understanding proper data security and authentication standards, pitfalls, and reasons for choosing one solution over another, we can make intelligent decisions on creating a solid infrastructure to protect our users and data. Nowadays people expect rich, immersive and dynamics experiences. To promote these needs, new approaches related to design and development are coming up. In design, we often hear about microinteractions, small product moments that accomplish one task and one task only. At the same time, in development, microservices architectures are emerging. Applications composed by a set of independently deployable services. In this speech will be shown how design and development can cooperate to achieve those expectations. Say that you really like how React.js works, and you are building the UI of your web application in React, using React components. But say that there is some Web Component around that is exactly what you need, and you'd like to use it (after all, that's the main point of web components: to be easily reusable). In this talk we'll see how you can have your cake and eat it too, reusing existing web components inside the React virtual DOM. The power and effectiveness of RWD is out of question; as well as the cracks that show up when the business demands full support for a variety of form factors such as smartphone and tablet. RWD is great if changes across visual breakpoints can be implemented without performance and bandwidth hits through CSS. 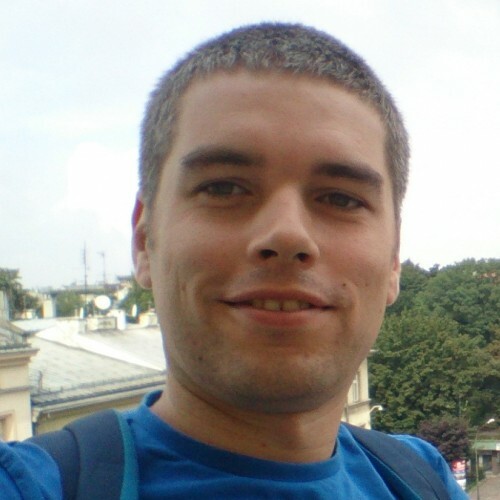 In this session, we’ll present WURFL.js a lightweight client-side frontend for device detection. Use of WURFL.js and its twin image tailor library gives you the unparalleled chance to switch layouts across breakpoints not just when the screen width changes but also when the form factor changes and you won’t be any longer treating a smartphone device the same as a tiny resized browser window. Service Worker is a promising web game changer, by basically introducing a new layer between the page and the server it allows developers to implement a new interesting array of front-end features, starting from a proper offline experience to template compilation, routing, data interpolation and more. This talk introduces this technology and shows what a Service Worker is and how it works, then it took a step forward and examines a few interesting 'edge' use cases such as template compilation, format conversion (from XML to JSON) and push notifications. After getting to know ASP.NET 5, and seeing where it’s different from previous versions, it's time to master the next development framework! If you want to go a little further and look under the hood of ASP.NET 5, this session will be for you. In this talk, I will cover the more advanced features shipping in as part of the new ASP.NET, like language extensibility, hosting, and in-memory end-to-end testing with samples. We’ll also have a chance to see some end-to-end project examples, demonstrating how your workflows and coding might change, and some corner case issues and gotchas you might hit. Generally, this talk will broaden your understanding of what will be possible with ASP.NET 5, and you’ll know where to look if you want to get one step closer to mastery. Having worked on a number of ASP.Net MVC projects since version 1.0 of the framework, when returning to it recently following a break on CMS projects, I took a little time before commencing trying to distil a number of practices and techniques that had made interesting reading in recent months. This talk takes a practical look at the benefits and trade-offs of taking a more domain driven design (DDD) and Command Query Responsibility Segregation (CQRS) approach to ASP.Net MVC applications. I plan to cover how these methods and patterns can be of benefit for a range of projects - illustrating the techniques with examples along the way - leading to an understandable, maintainable and testable codebase. The REST architectural style is the currently most appreciated way to structure a backend for several good reasons. On the other side, there are many cases where you may want just to expose data using the classical CRUD. Furthermore, the nature of REST is schema-less that is an advantage from a versioning standpoint but it can be harder to browse for many clients. In this session, we will start discussing OData vs REST, then examine the v4 OASIS standard and dig into many samples and tools to rapidly start coding OData services. OWIN has a concept of middleware. So does ASP.NET 5. Why? What is middleware? How does it help in typical web applications? In this talk we will dive into the code, write some middleware and show how middleware helps you handle cross-cutting concerns in an isolated and re-usable way. I'll compare and contrast the OWIN and ASP.NET 5 middleware concepts and talk about where each is appropriate. Meet Ionic, the best tool for faster go-to market strategy. Nowadays, developing mobile applications is about both technology and development time/cost. It's a hot topic for large companies and small startups who need to go to market quickly and cost-effectively. Ionic is the perfect tool for the rapid cross-platform development of high-quality mobile apps. Works in Open Source on ASP.NET and the Azure Cloud for Microsoft out of his home office in Portland, Oregon. Scott has three podcasts, he's written a number of books and spoken in person to almost a half million developers worldwide. CTO @ http://Crionet.com , mobile strategist, software architect, trainer, book author, father of a genius or two. Would like to be a tennis player too. Sandro Paganotti is Front-End Developer at Facebook, author of “Designing next generation web Projects with CSS3” for Packt Publishing and technical trainer for Avanscoperta. He loves 60fps web interfaces, frontend automation and offline-first web apps. I am a web guy, Microsoft MVP and software developer specialized mainly on .NET Web technologies. I've worked at the tourism industry to build tourism software services and products for long time and now, I am working at Redgate Software as a Software Engineer helping people do database delivery in a joyful way. I am also a very involved member in the community and try my way to expose my knowledge to others through my blog, webcasts, authoring books, giving talks on various topics and so on. Maarten Balliauw works at Microsoft. His interests are mainly web applications developed in ASP.NET (C#) or PHP and the Microsoft Azure cloud platform. Maarten also co-founded MyGet, hosting private NuGet, npm and Bower feeds for teams. Tim Messerschmidt As a long time mobile and web developer, Tim channels his knowledge and experience as Braintree's Head of Developer Relations. He is passionate about startups and serves as a mentor at multiple incubators and accelerators. Prior to joining PayPal, Tim worked with Neofonie Mobile and Samsung focusing on several mobile projects. In his spare time, he leads and creates training classes in all sorts of developer-oriented topics, contributes to Open Source projects and is one of the authors of the Mobile Developer’s Guide to the Galaxy. In addition, he authored numerous articles published in print magazines. Raffaele Rialdi is a senior Software Architect working as a consultant, speaker and trainer. Since 2003, he is a Microsoft MVP in the Developer Security category. His passion for the community brought him to be member of the board of UGIdotNET, president of DotNetLiguria and co-founder of the Italian C++ user group. Currently he is working as architect and developer on the backend of an enterprise project and working on cross-platform mobile development in both C# and C++ languages. Kuba developed his passion for computing at an early age, playing Tetris and Civilization on the family's PC. I am a Senior Program Manager in Microsoft working on Cloud Tecnologies since 4 years. My curent job is being a Tech Advisor and Cloud Architect for cloud workloads enablers and worldwide video projects on Microsoft Azure. I spoke at IBC on the video workflow we used for last Fifa World Cup live streaming. Working and enjoying technology since I was a kid. Andy has been building websites and applications, primarily on the Microsoft stack, since the days of classic ASP. Marco De Sanctis is a tech entrepreneur, art fanatic and technology lover.He's a freelance consultant in IT, with more than a decade of experience, and he's been awarded as Microsoft Most Valuable Professional for the last 6 years.He's also a book author, trainer, mentor and customary speaker at tech conferences. Antonio Di Motta is an IT Project Engineer with over 15 years of experience specializing in project engineering, analysis and design of software solutions in the manufacturing and transport sectors. Pre-sale and Project manager in the cloud area with a specific focus on Microsoft Office 365 and Microsoft Azure platforms. Through the adoption of Microsoft Azure he helps customers to build hybrid solutions integrating on - premise and in -cloud resources. Software Architect with several years of experience, Angelo is specialized in integration and service oriented middleware. He has recently discovered the beauty of reactive programming and since then he struggles to go into all the IT world and preach "The Good News" of Rx, Actor Model and Reactive Manifesto in general. Ugo is a programmer specialized in enterprise application, with focus in web applications, service oriented applications and, generally, in all the environments where scalability is a top priority. Simone Chiaretta is a web architect and developer who enjoys sharing his development experiences and more than 15 years' worth of knowledge on Web development with ASP.NET and other web technologies. The aperitivo alla Milanese, will be at Le Banque, very close to Duomo and La Scala. There are 3 airports in Milano: Malpensa, , Orio al Serio (Bergamo). They are all more or less 50-70 minutes Linate with public transports from Milano City Center, and the all cost between 6 and 12 euro. From Malpensa: Once you arrive at the airport just follow the sign for Malpensa Express. There is a train every 30 minutes from 6am till 1:30am. You will arrive in Milano Central Station or in Milano Cadorna. And from there you have access to the subway. From Linate: Public Bus n 72. This will take you to Piazza San Babila, a few minutes walk from Duomo, and with access to subway. You can also take the Air bus that will take you to Milano Central Station. From Orio al Serio (Bergamo): Take the Orio Shuttle, a bus hat will take you to Milano Central Station. From the metro station take the Line 5 (Violet line direction Bignami) and take the Ponale Exit. From there 8 minutes walking (700mt)". The first hotel is Hotel Arcimboldi, just a few minutes walk from the venue. We'll have a 15% discount by specifying the code EUROPEAN WEB CONFERENCE when booking via email at arcimboldi@bookingsolutions.it. The first hotel is Idea Hotel Bicocca, just a few minutes walk from the venue. We'll have a 15% discount by specifying the code EUROPEAN WEB CONFERENCE when booking via email at bicocca@bookingsolutions.it .. .
A Refined.io Event © 2015.